Winter Cruise, Christmas Cruise and New Year Cruises - Norway Yacht Charter AS Winter Cruise in Oslo on sailing Ship. Winter Cruise, Christmas Cruise and New Year Cruises - Norway Yacht Charter AS Winter Cruise in Oslo on sailing Ship. Winter cruise on sailing ship on the Oslofjord. ⛄ Winter cruise on sailing ship on the Oslofjord. Onboard S/S Helena, you can experience the Oslo Fjord winter time. 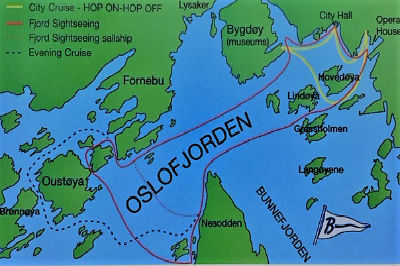 On the classical Oslofjord sightseeing, we pass through narrow idyllic coves and a maze of islands. Oslo has a great location under the hills and the fjord stretches almost into Oslo City Center. On the cruise, we sail past numerous famous landmarks like Akershusfestning, the Opera House and Hovedøya, as well as all the old lighthouses. You can take great pictures of the city from the "fjord angle". The sailing ship will stop at 12:20 on Bygdøynes the location of Norwegian Maritime Museum, the Kon-Tiki Museum and Fram-Polarskuta to Amundsen. The Viking ships and the Norwegian Folk Museum is also located on the island and is easily reached on foot from Bygdøynes. First a refreshing 2-hour cruise, then we make a stop for those who wish to visit the museums. At 14:50, S/S Helena will make another stop at Bygdøynes to pick up passengers wishing to return to City Hall - and for the ones who want to visit the museum. If you leave the boat at 14:50 you have to get back on your own. Bus no 30 will take you back to the city center. The trip gives you a good impression of Norway's capital Oslo.